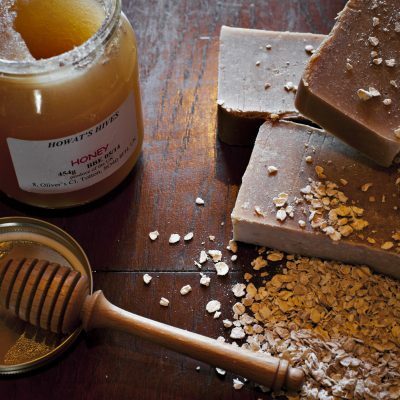 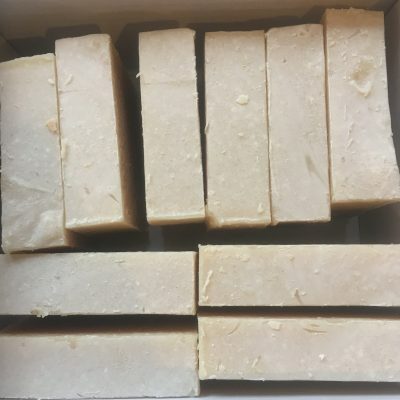 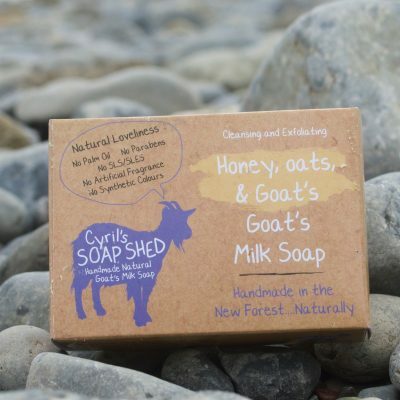 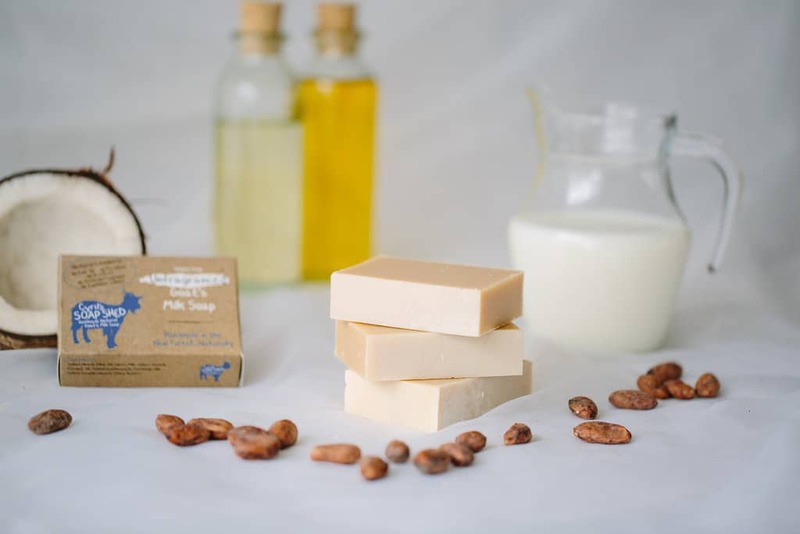 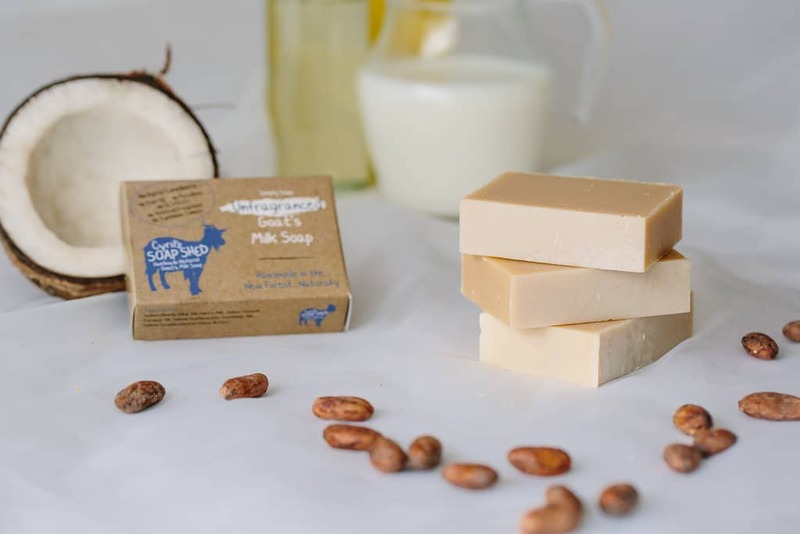 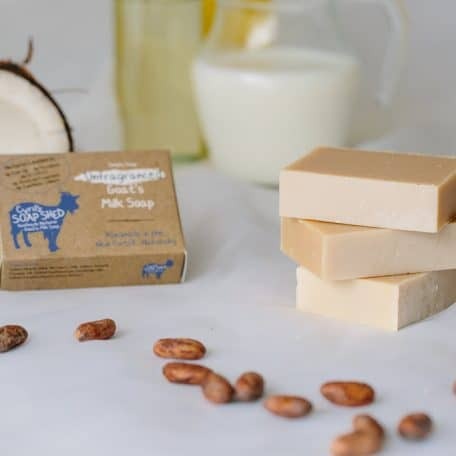 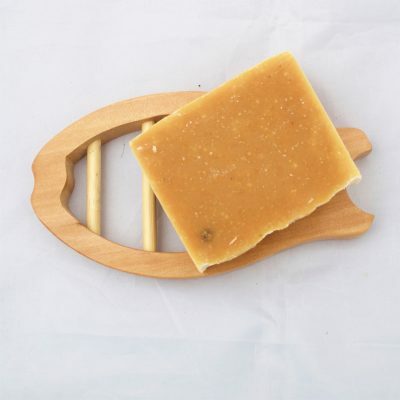 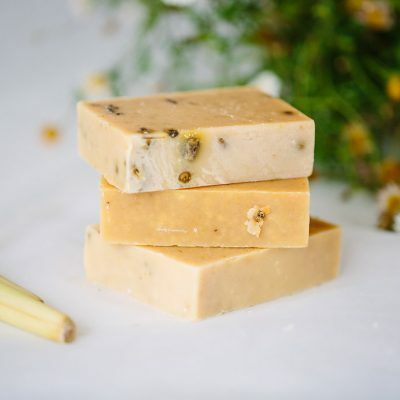 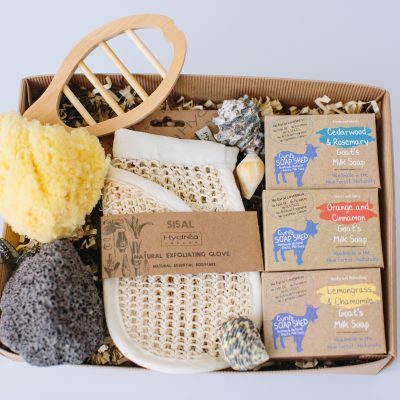 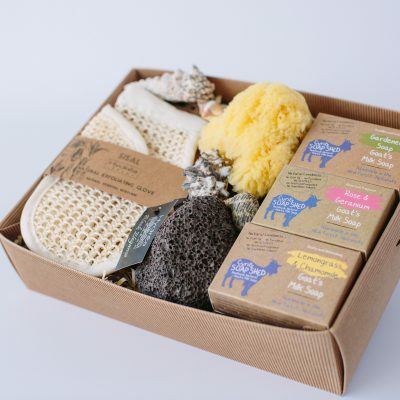 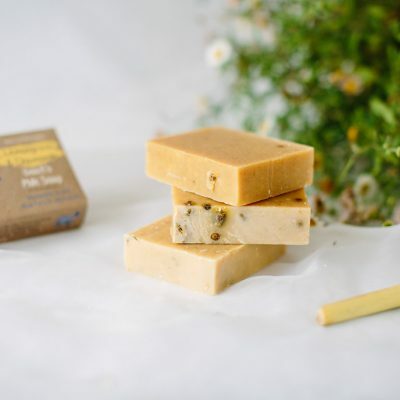 Natural Goats Milk Soap by Cyril’s Soap Shed is an un-fragranced bar, made with lashings of fresh, creamy goats milk, Olive, Sunflower and Coconut oils, and raw Cocoa Butter. 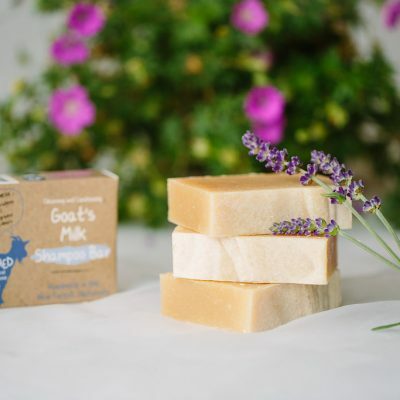 Lovely for really sensitive skins, and recommended by eczema and psoriasis sufferers to help calm symptoms. 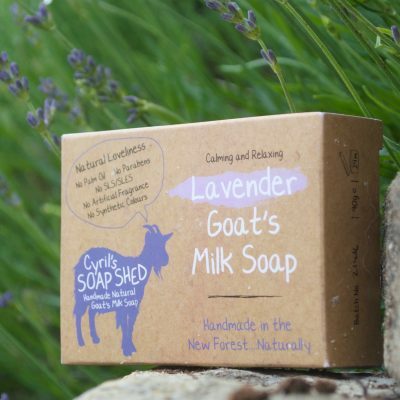 Just pure natural oils and Goats milk. 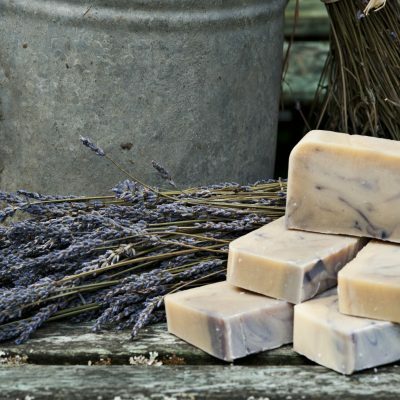 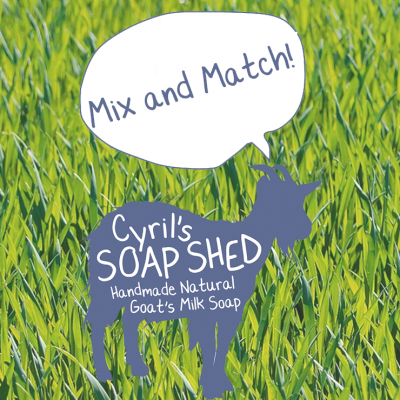 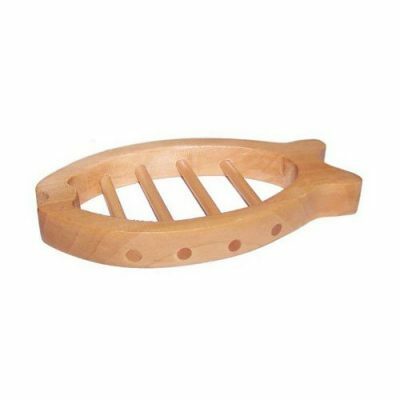 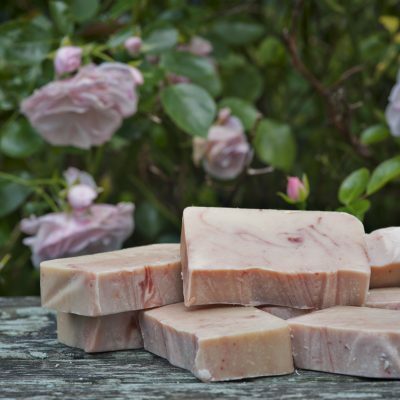 Natural Goats Milk Soap by Cyril’s Soap Shed is an unfragranced bar, made with lashings of fresh, creamy goats milk. 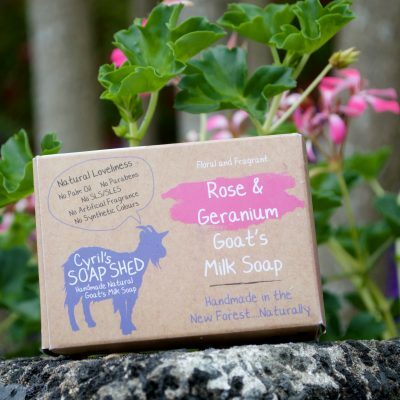 Lovely for really sensitive skins, and recommended by eczema and psoriasis sufferers to help calm symptoms. 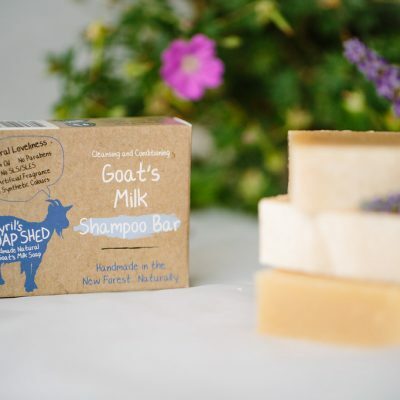 Just pure natural oils and Goats milk. 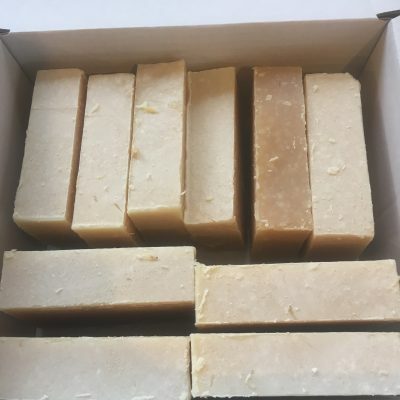 Now available in a 10 bar multi pack and completely naked! 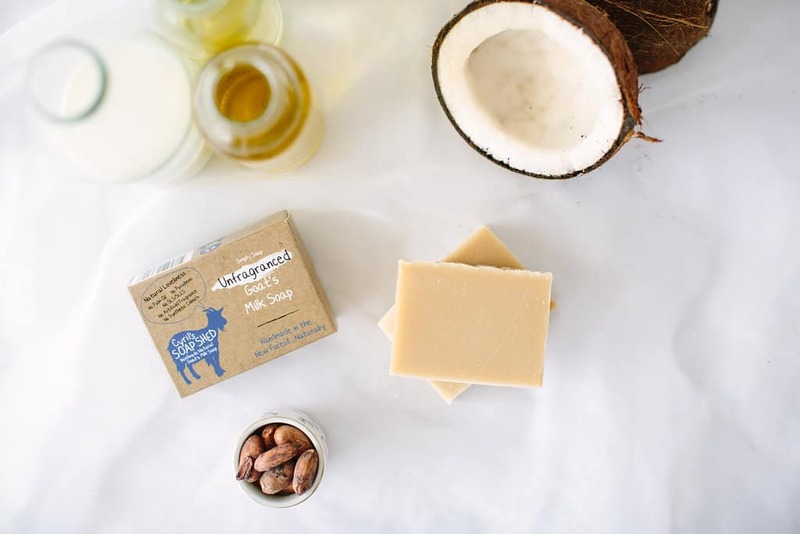 Less packaging and less waste.